Dr. K.M.Seethi is Professor in the School of International Relations and Politics. He joined the faculty in December 1984 and was previously the Director of the School. He has also been the Dean of the Faculty of Social Sciences and a Member of the Syndicate of the University. Dr. Seethi received his M.A and PhD degrees from the University of Kerala. He specialises in South Asian Studies and International Relations Theory apart from India’s foreign policy, economy and society. Dr. Seethi has held several important positions in the University like the Honorary Directorship of the K N Raj Centre for Planning and Centre-State Financial Relations, Director of Research, Member of the Academic Council, Chairman of the Centre for Cross-National Communication in South Asia, Chairman of Boards of Studies in International Relations and Politics and that of Political Science, Co-ordinator of the K P S Menon Chair for Diplomatic Studies, General Editor of the Indian Journal of Politics and International Relations, South Asian Journal of Diplomacy and the Journal of Political Economy and Fiscal Federalism. Dr. Seethi is a prolific writer and has written several books and articles in reputed journals. His most recent book is State and Civil Society Under Siege (co-authored with P.M Joshy) He is also a referee and reviewer for several international journals. 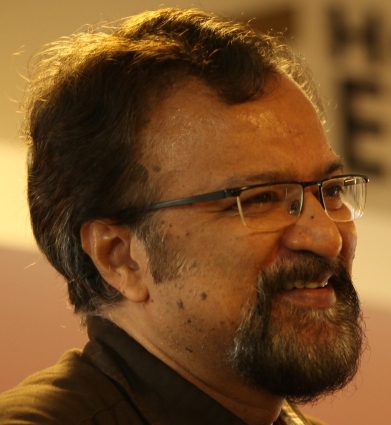 He is a frequent contributor to several English and Malayalam newspapers and newsmagazines, apart from being an expert commentator in the visual media. He has travelled widely and has been closely associated with several international programmes of the University of Cambridge, University of Exeter, Jinan University, China, National University of Singapore and the Catholic University of Korea. He presented a paper at the Annual Convention of the International Studies Association at New Orleans, United States in 2015. Dr. Seethi has also been a resource person and external expert in several universities of India. He has undertaken several projects for the University Grants Commission, the Indian Council for Social Science Research and other national institutions.